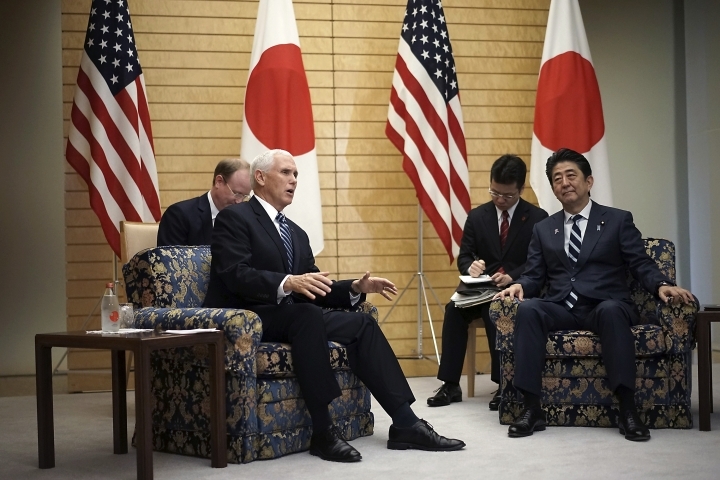 TOKYO — U.S. Vice President Mike Pence has met Japanese Prime Minister Shinzo Abe to discuss bilateral trade and to touch base on their policies on North Korea as the two sides tried to showcase alliance ahead of key regional summits this week. 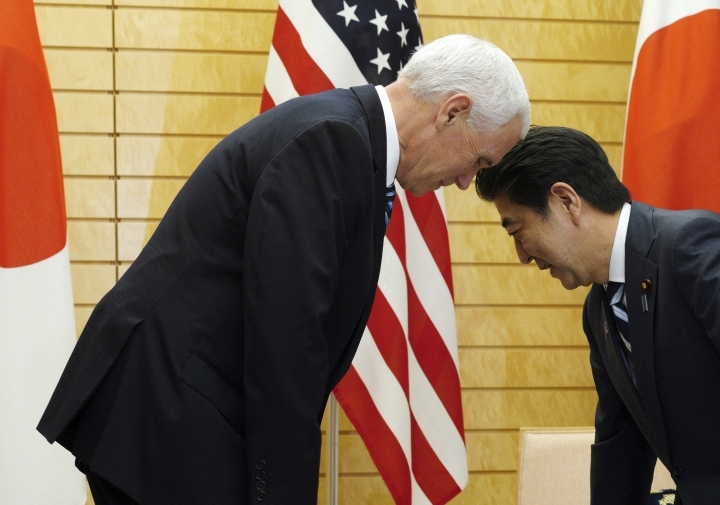 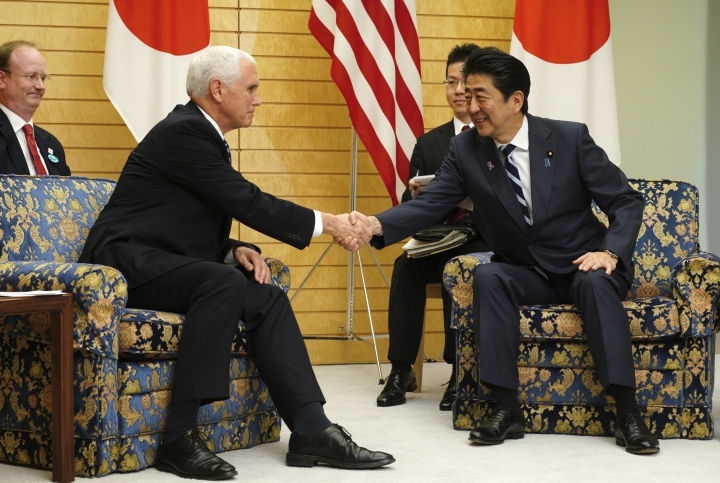 Pence told Abe as their talks started Tuesday that he planned to follow up on bilateral free trade talks that the two countries have agreed to start. 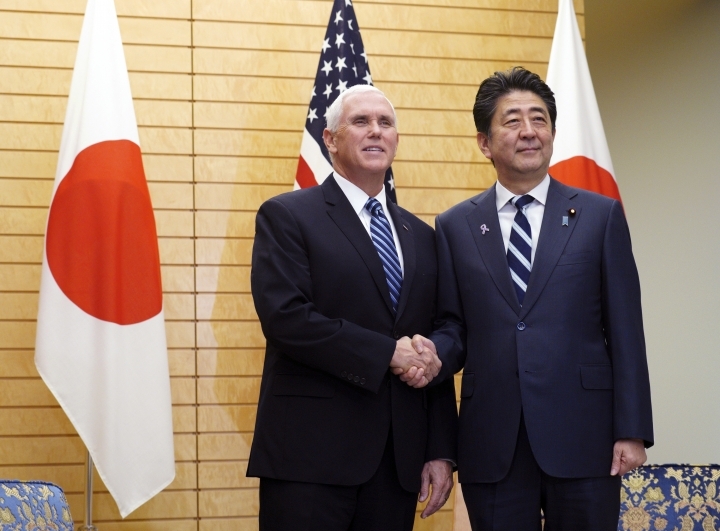 Japan has faced demands that it reduce its trade surplus with the U.S.
Pence and Abe gave reassurances of their cooperation on North Korea's denuclearization. 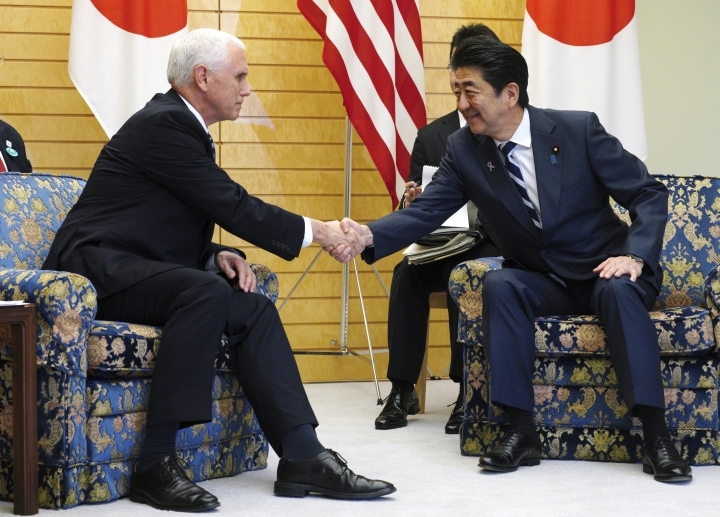 Pence will leave later Tuesday to attend a meeting of the Association of Southeast Asian Nations in Singapore and an Asia-Pacific Economic Cooperation summit in Papua New Guinea on behalf of President Donald Trump.